CUSTER, S.D. - Forest visitors this summer may see livestock grazing on the Black Hills National Forest. Since 1905, the U.S. Congress has authorized regulated livestock grazing through permits on National Forest System Lands. On the Black Hills National Forest, there are approximately 144 permittees grazing over 24,000 head of mature cattle, generally cow/calf pairs, June through September, dependent on conditions. Permittees on the Forest started grazing on June 1st. Cattle near Sundance, Wyoming will be placed on the Forest around June 11th. Cattle are managed and controlled through the use of various range improvements including: fencing, cattleguards, water tanks, stock ponds, wells, pipelines, use of salt to aid in distribution of animals and range riders. Permittees are responsible for maintenance of assigned range improvements, and pay grazing fees based on authorized numbers and time on rangelands. 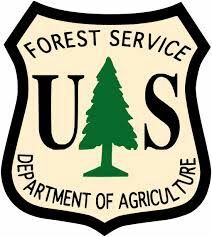 Forest users are asked to please close fence gates that are used for access or passage. While the Forest continues to add additional vehicle, UTV, ATV, and motorcycle cattleguards, there still are many locations where wire or steel gates are used to control livestock and provide for user passage. Cattle are grazed through multiple pastures, on a deferred rotation grazing system. The timing of this deferment can vary each year. This approach supports the Forest Plan objective to provide grazing on a sustained basis and make available up to 233 million pounds of forage for livestock and wildlife use each year, weather permitting.